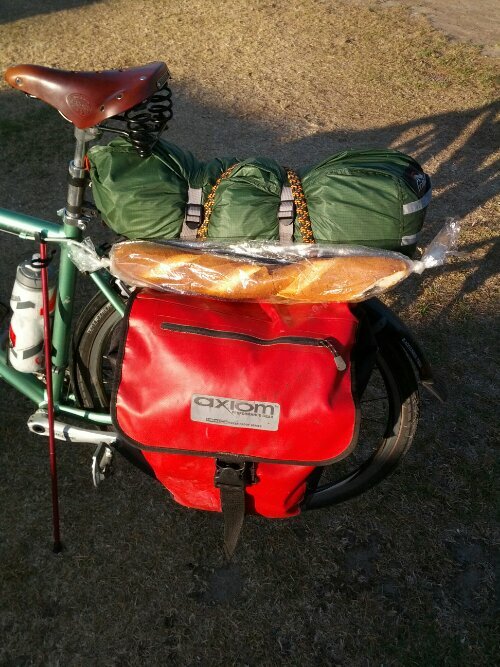 90km day, Bill leaves us with a baguette. The most awkward thing to fit in to a pannier. This entry was posted in NZ 13 by jarrowz. Bookmark the permalink.